The value generated through mobility solutions is not limited to the immediate effects of mobile apps. It has started to impact the business by catalysing many disruptive trends too. The mobile app development in 2017 will be focussing on improving or incorporating few innovative trends in the market. These trends revolve around Augmented and virtual reality, IOT enabled solutions, the inclusion of Artificial intelligence (AI) based bots, demarcation of device categories and the inclusion of autonomous and smart processes. If you are still wondering about the immediate impact of the above trends, check on the growing demand and acceptance of these solutions across the industries. 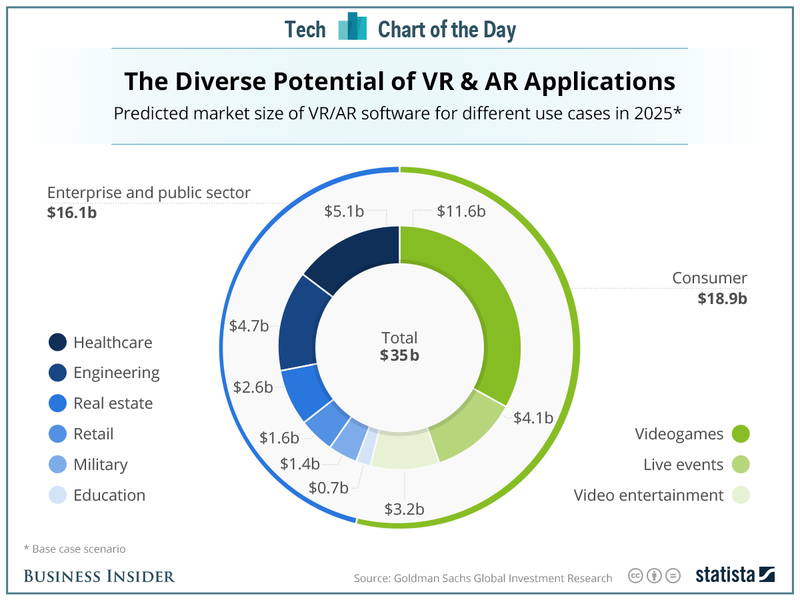 The non-gaming business focussed applications of AR/VR is a small segment but the same is showing a faster growth than the gaming one. We are expecting this segment to pick up the pace with some more competitive mobile app development by the end of 2017. The other trend which is pushing us towards a more independent future is cloud-driven mobility solutions. As evident from a research by Cisco, cloud apps are set to drive around 90% mobile traffic by 2019, this says a lot about the upsurge of cloud-based mobile app development solution. With a compound annual growth rate (CAGR) of 60%, mobile cloud traffic is rapidly taking over the overall traffic witnessed by the mobile solutions. The same temperament of becoming innovative drove us to dive into different technologies to come up with different solutions to approach a single problem statement. After dwelling for a considerable period into different technologies, companies are now becoming clearer about the technologies which are user oriented as well as efficient. In 2017, we can expect a lot more companies selecting their development partners on the basis of the type of technology solutions given by them and its utility for the company. Selecting right technology is as important as it is to get a good mobile app development company for mobility solutions. And a wise selection for the same is done by taking in account few important benchmarks. What are your mobile app development needs? For the organisations which have higher.NET dependencies in terms of their existing solutions, it makes sense to go for Xamarin without a second thought. That way, they can skip the integration and adaptability issues which come with a new mobile app development solution based on a different technology. The only other component which drives the technology selection in a big way is the time taken for the mobile app development. For few developments, developers need to work on extensive customization, access third party library or hardware, and sensor integrations. In these cases, a Xamarin developer will need to create a bridge between the framework and the app. It is wise to check out the same solutions through native apps first before signing up for these extra requirements which add time as well as cost in the budget. Which one is most affordable for you? Are you a big empire with different verticals which is just starting out to implement mobility solutions or you are a mid size company which needs a one-time development service? The difference matters as it will help you to figure out the ROI for your investments into the mobility development solutions. At present, Xamarin is available integrated with Visual Studio 2015, which doesn’t apply to the earlier versions of visual studio. Considering this, you can also try to lower down the mobile app development cost by proceeding with free native development IDE. If you can see that your competitors are getting ahead the curve by using a native app, there is no way you want to take chances. It is difficult to produce a competitive app for native apps without indulging into the same technologies. And while the other options might look more tempting and quicker, the actual resources invested in figuring out why your mobile app development is not at par with the native apps of your competition will be far more. But in cases where you are not bothered about any competition from native apps, it makes sense to cut down the mobile app development cost by looking out for other technologies. Xamarin mobile app development seems to rule the 2017 mobile app development market with its reduced time in marketing and engineering through single stack technology development. It works fairly well by providing a development option where the 90% is standard UI that can be easily replicated, leaving very fewer efforts to be put into engineering tasks. But a cross-platform requirement will end up adding the cost and time with unnecessary mobile app development in certain cases. At the same time, the main advantage of Xamarin offering sharable codes also decreases to a great extent. This makes it lose its lustre in front of other native solutions. A 430 bn enterprise mobile app development market is waiting to be explored by 2021. With Evernote, Facebook messenger and few other to-do list apps coming into the foray to facilitate the collaborative activities among the employees, it is time for enterprises seriously evaluate their options for acquiring mobile app development solutions. Lightweight, HTML, targeted and ad-hoc-based micro apps are an all time favourite for the enterprises. It is always easy to get the solutions based on popular demand. But Dreamorbit, by providing exceptional and insightful solutions on mobile app development, is consistently trying to introduce the enterprises with solutions which are tailored to withstand the challenges and needs of the future. So if you are looking for a mobile app development company which can provide some out of the box solutions, let’s catch up for a coffee.